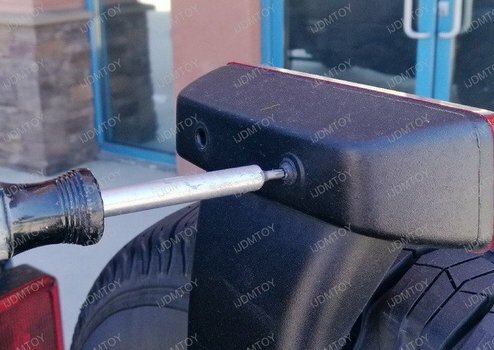 Let's learn how to install the above 3rd brake light LED rear pod light kit on the 2007-2017 Jeep Wrangler JK. 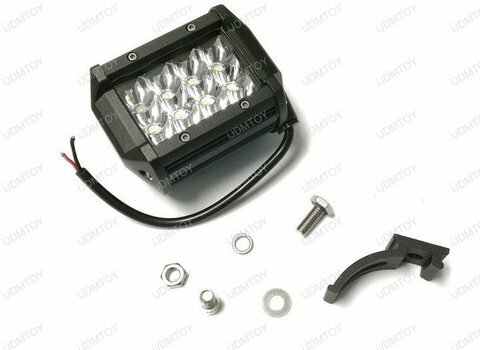 The following steps will apply to both the single 36W Jeep LED pod lamp, as well as the dual 72W Jeep LED pod light lamp. 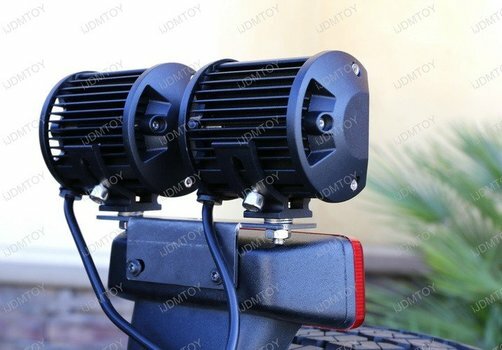 After your installation, your Jeep Wrangler will be equipped with a powerful white LED light that sits above your 3rd brake light, adding a searchlight, back up reverse light or any other function you want. Preassemble the pod light base bracket(s). 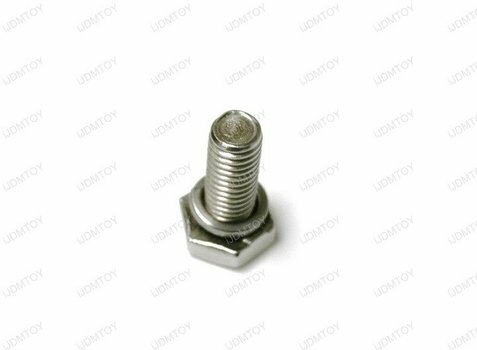 Thread a spring washer through the included screw. Put the screw onto the base bracket. 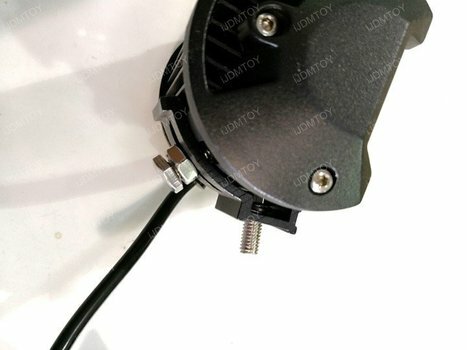 Bolt the base bracket(s) onto the LED pod light(s). Thread a screw through the nut inside the pod lamp. 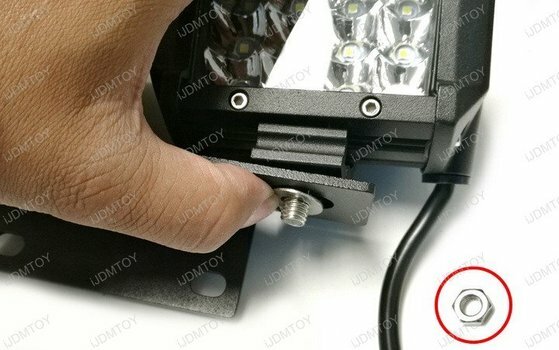 Repeat steps 1 and 2 if you are installing dual LED pod lamps. 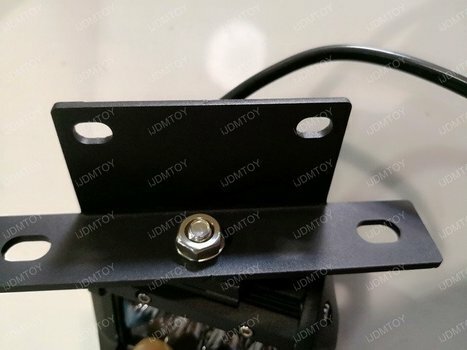 Mount the LED pod light(s) onto the main metal mount bracket using a flat washer and nut. Mount the LED pod light and bracket assembly over your third brake light. Remove the screws behind your 3rd brake light. 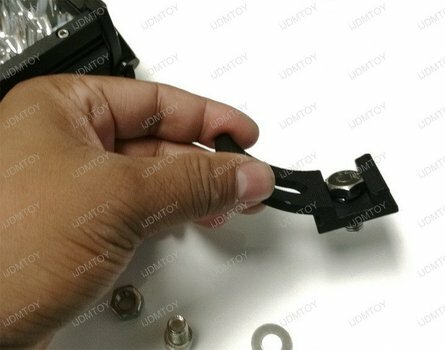 Use the same screws to secure the pod light bracket assy. Wire the LED pod lights to the harness of your choice. 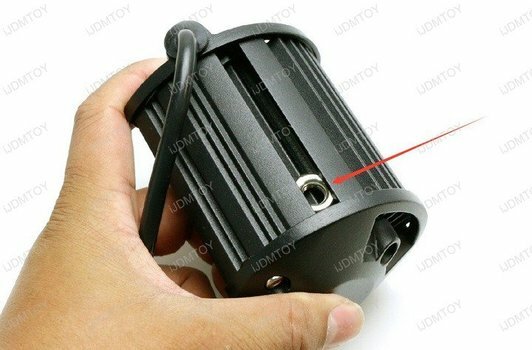 Test your tail end LED pod light(s) to make sure it fully lights up. Once you've confirmed functionality, you may now enjoy the high light output of your rear above 3rd brake light LED pod lamp(s)! 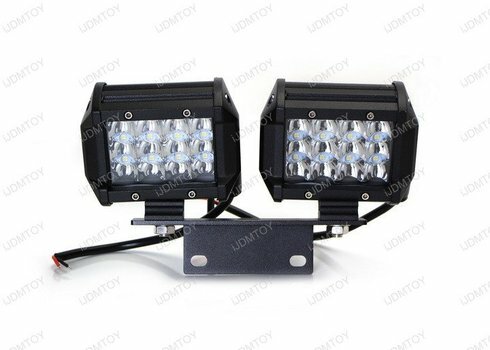 Find this and more offroad truck LED lighting at store.ijdmtoy.com today.